This mod requires the HugsLib Library in order to work. Please, ensure you have it installed and on a higher position in the mods list. With the invention of pockets comes the idea of bringing EVEN MORE WEAPONS. Because your snipers are getting really tired of getting shanked. The Simple Sidearms mod will allow your colonists to carry multiple weapons. Colonists can carry sidearms in addition to their primary weapon. They will pull out their melee sidearms when attacked from close range. They can also be ordered to draw a specific sidearm. They draw ranged weapons appropriate to the current distance to their target. This feature can be disabled on an individual basis. 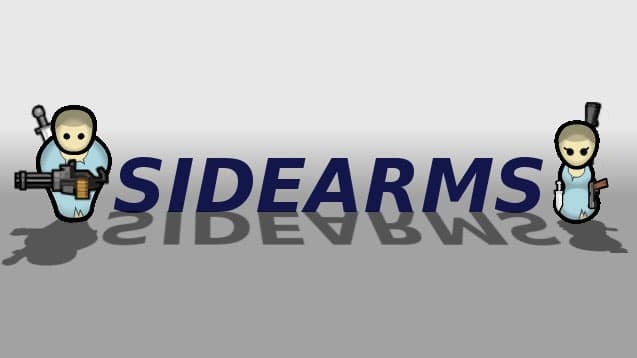 They also draw sidearms after using single-shot weapons. To keep that reasonable, pawns are limited to a fraction of their carrying capacity when it comes to carrying sidearms. …did I say colonists? I meant everyone. Pawns can get a sidearm along with their primary weapon when their loadout is generated, appropriate to the tech level of said primary weapon. Its cost is limited to one fifth of the minimum cost of their primary weapon. Pawns will remember which weapon is their primary and will switch back to it once undrafted. They will also remember which weapons they are missing when forced to drop them. This includes dropping their primary weapon due to being down. Once undrafted or done recovering in the hospital, they will automatically go retrieve them. Don’t like any of the above? The mod is highly customizable through its settings menu. It is only natural to carry a knife or two in such dangerous lands, specially if you are a sniper. 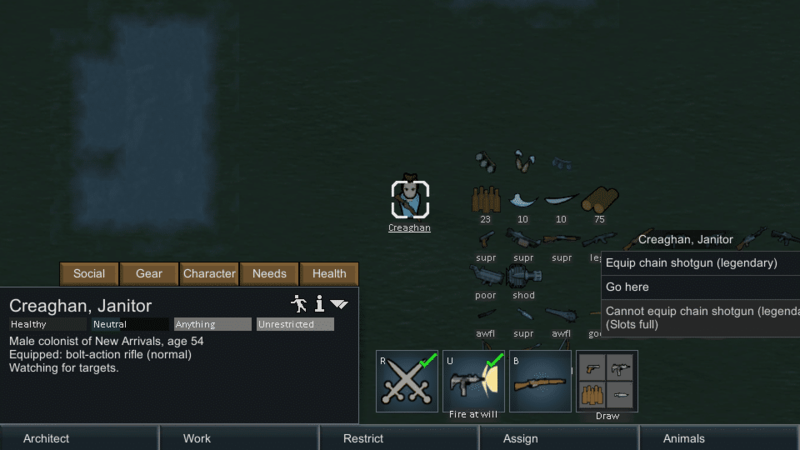 But the best part about this mod is that after a colonist has been downed and dropped his weapons, he will automatically pick them up once he has recovered. Don’t let your colonists get flanked ever again!